Easter is a time when we can celebrate religious holidays or just the beauty of spring and nature. Whichever way you choose to celebrate, you’ll definitely need some decor (along with delicious candy)! These paper nests are an easy craft that take only minutes to make. You can use whatever color paper you’d like and even incorporate paper with fun designs on them. 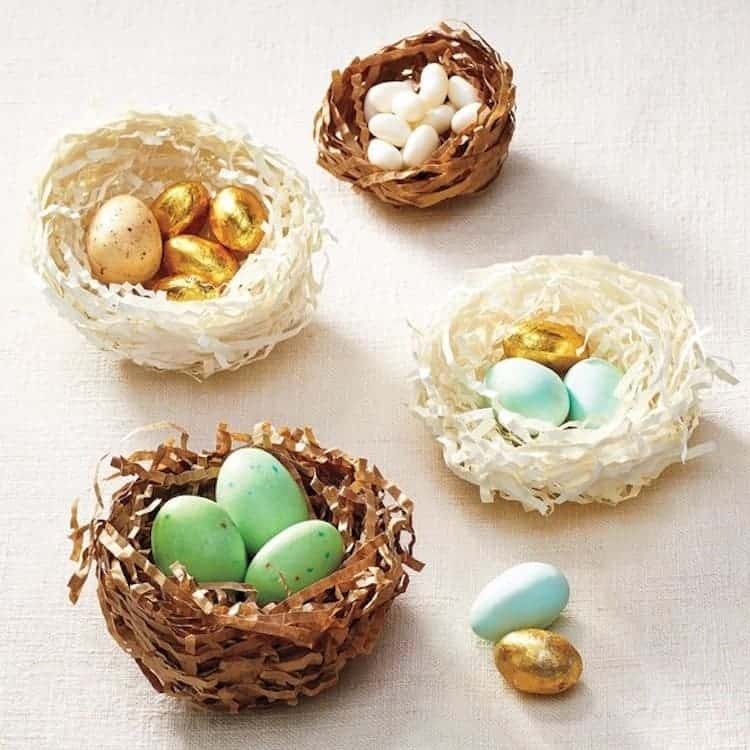 If you’re into recycling, these nests can be a great way to use up some of your old newspapers and magazines. Once that’s done, blow up a balloon to be as wide as you’d like your nest. Paint the top half of the balloon (opposite of where it’s tied) with the decoupage mixture. Continue painting the layers of paper with decoupage mixture and adding paper until it’s the size you’d like. 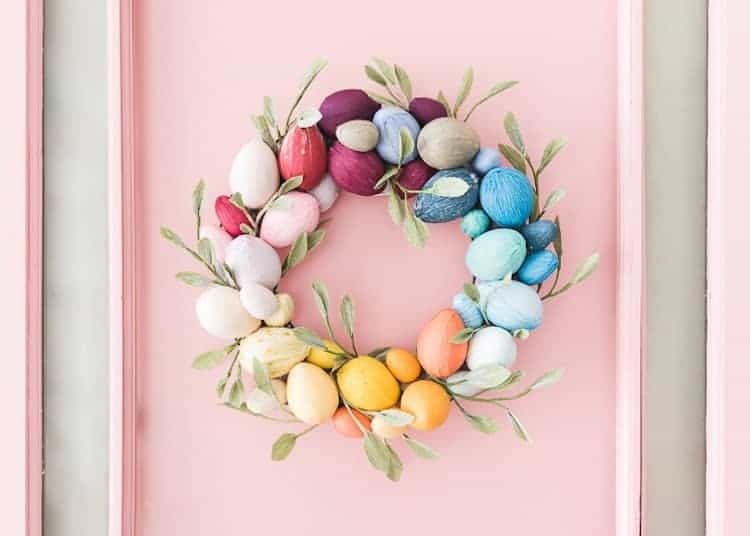 Once all eggs are covered, hot glue them to the wire wreath until it’s covered. You can hang these on a tree or combine a few to make a garland that spans your fireplace mantle. 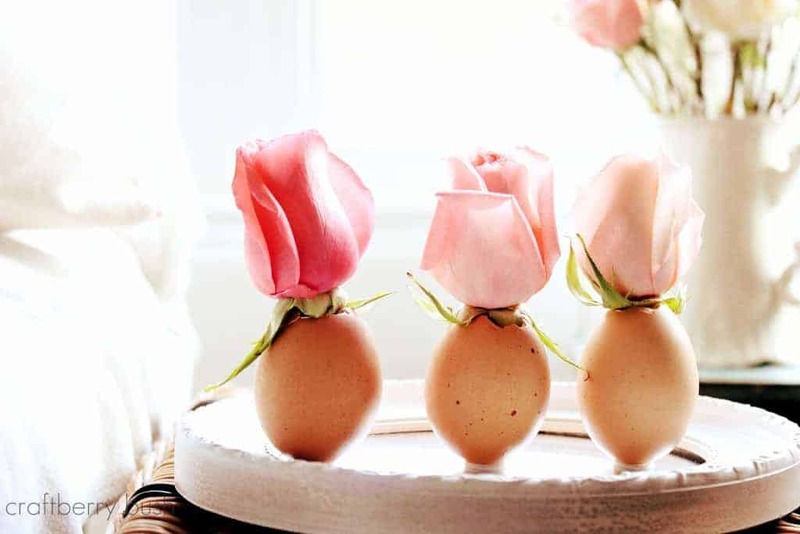 They’re an easy and budget-friendly way to invite the Easter spirit into your apartment. Start by cutting out four identical eggs on sheets of paper. You can use a different color and pattern for each or use all the same, it’s up to you!